It&apos;s finally beginning to feel like fall in Montgomery County, just in time for one of our favorite fall festivals of the year, the All Hallow&apos;s Eve celebration at Pennypacker Mills. The week ahead also features Halloween haunts, living history, a visit from Harry Potter and much more. 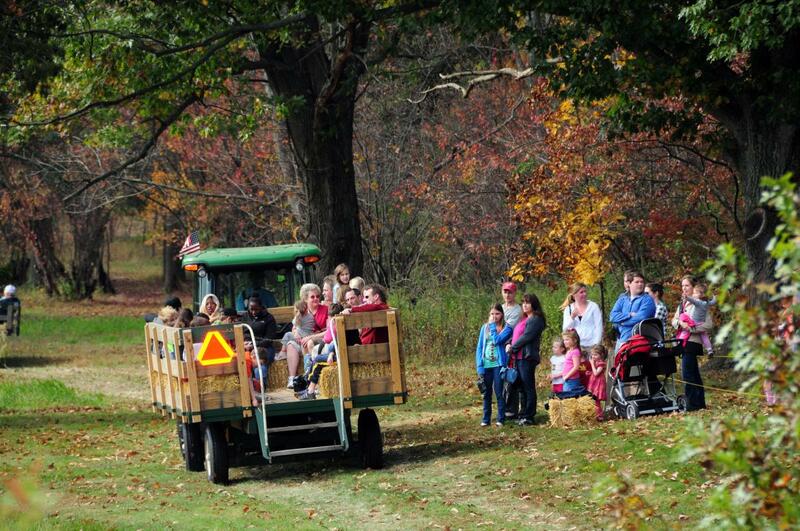 Here are 22 ways to #MakeitMontco this week in Valley Forge and Montgomery County, Pa.
Bring the family for a day of fun on the farm at the Pennypacker Mills All Hallow&apos;s Eve Fall Festival. The event features old-time fun including tractor-pulled hayrides, pumpkin painting, corn shucking, apple pressing and more. 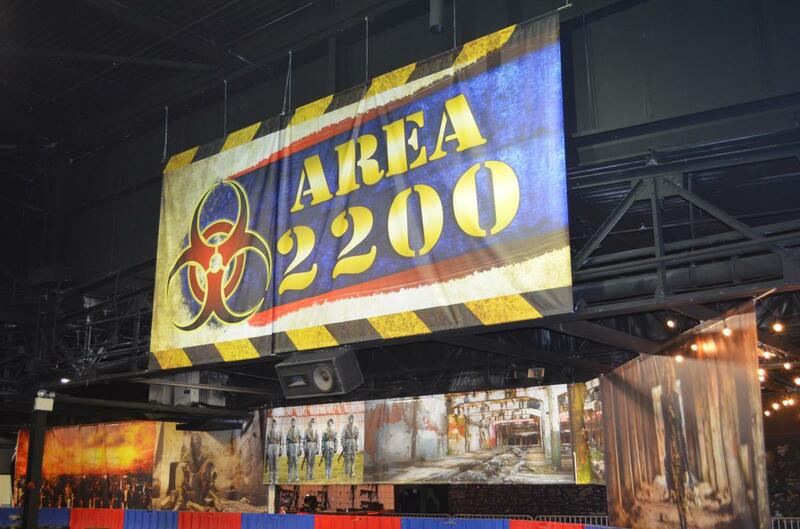 Area 2200 at Arnold&apos;s Family Fun Center in Oaks is open year-round, but zombie hunting gets more serious around Halloween. The battle between the living and the undead plays out daily in this laser tag adventure featuring live actors on Saturdays in October. In October, Spring Mountain Adventures transforms into Scream Mountain, a truly unique haunted attraction that combines a classic haunted hayride with a haunted walk down the ski slopes. A nighttime zipline adventure - with or without a trip into the haunted woods - is also offered. The question is: how adventurous are you? A wizardly world awaits at the Harry Potter Weekend in neighboring Chestnut Hill. The festival features the annual Harry Potter Conference, the Brotherly Love Cup Quidditch Tournament and Harry Potter-themed events throughout downtown Chestnut Hill. Philadelphia Eagles fans, the Elmwood Park Zoo wants to see you this Sunday from 12 noon to 3 p.m. for an Eagles Pep Rally, featuring Swoop and the Philadelphia Eagles cheerleaders. The day also includes a meet-and-greet with Eagles legend Duce Staley, performances by the Eagles Pep Band and a Carson Wentz jersey raffle. Scoogi&apos;s Italian Kitchen & Bar is teaming with Conshohocken Brewing Company for a special beer dinner Thursday night. This five-course meal will feature pairings with some of the brewery&apos;s finest craft beers. Space is limited and reservations are required. This Oktoberfest offers all the classic folk fare, with a twist. This year Souderton-Telford Oktoberfest will be holding a Chili cook-off in addition to beer, food and live entertainment by local band All Worn Out. Meet "Dr. Benjamin Rush," Surgeon General of the Continental Army, as discusses the medical practices used by field doctors of the American Revolution during Graeme Park&apos;s Living History Sunday. 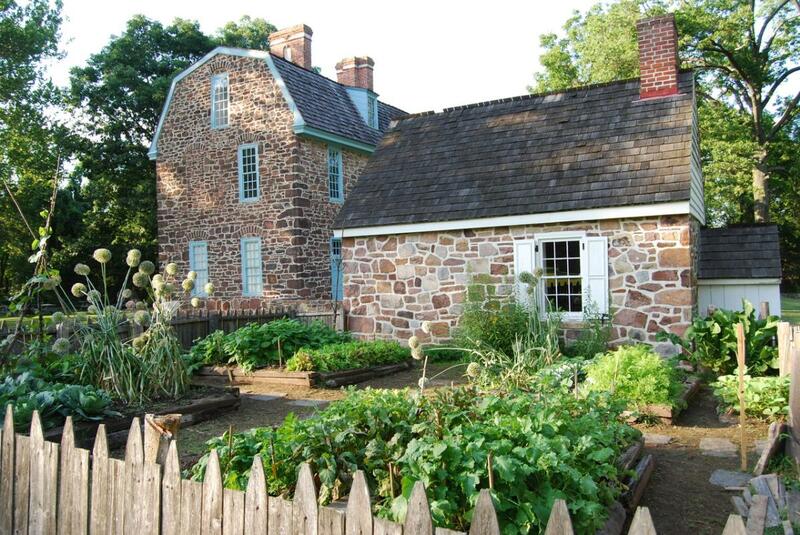 Author Greg Huber is an expert of Pennsylvania&apos;s barns and farm culture, and on October 19. His new book Historic Barns of Southern Pennsylvania: Archeticture & Preservation is the basis of this talk at the Historical Society of Montogmery County in Norristown. The book will be available for purchase and signing at the event. Join a National Park Ranger around the campfire for a unique evening of storytelling at Valley Forge Park. The Fall Campfire Programs are offered after-hours and provide a unique experience for park visitors. This week&apos;s discussion is titled "The British are Coming! The British are Coming!...Or are They?," a look at why the British never attacked Valley Forge. Highlands Mansion & Gardens celebrates man&apos;s best friend on Sunday afternoon with a Working Dog Demonstration day. The event includes historical presentations as well as a look at how dogs still perform essential duties today. Take a drive down Ventura Highway with the legendary folk-rockers, America. 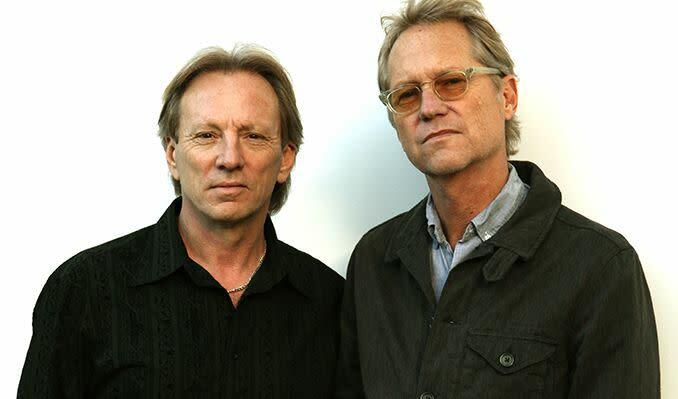 Founding members Gerry Beckley and Dewey Bunnel carry on a 47-year legacy of music that includes hit songs like "A Horse with No Name," "Sister Golden Hair" and "Ventura Highway." Montgomery County Community College continues its 2017 Lively Arts Series with a performance by acclaimed trumpeter Arturo Sandoval. Sandoval&apos;s prowess has earned him 10 Grammy Awards, six Billboard Music Awards, an Emmy Award, and a Presidential Medal of Freedom. Closing Weekend: Sherlock Holmes is on the case of his most legendary mystery as the Village Players of Hatboro present The Hound of the Baskervilles. Watch as Sir Athur Conan Doyle&apos;s famous sleuth comes to life during this thrilling whodunnit. Performances are Friday and Saturday at 8 p.m. Closing Weekend: The classic tale The Neverending Story comes to the stage at DCP Theatre for a two-week engagement. This family-friendly show tells the story of Bastian, a lonely boy who discovers a curious book called The Neverending Story, and the adventures that spring to life as he begins to read. Performances are Friday at 8 p.m., and Saturday and Sunday at 1 and 4 p.m. Closing Weekend: Playcrafters of Skippack present the thought-provoking and gripping A Murder of Crows. The story centers around an elderly couple, two of the last remaining residents of a town declared a toxic waste dump. They continue to hold onto their lives and livelihood while struggling with cancer and a town that has fallen apart around them. Performances are Thursday through Saturday at 8 p.m. Closing Weekend: Steel River Playhouse starts its 2017-18 season with the outrageous Broadway hit The Nerd to the stage in Pottstown. Performances are Thursday through Saturday at 8 p.m. and Sunday at 2 p.m.
Nat "King" Cole is one of the most revered voices of the 20th century, but his life was fraught with challenges. In Lights Out, writers Colman Domingo and Patricia McGregro imagine Nat as he faces his final Christmastime broadcast. The show, starring Dule Hill (West Wing and Psych) as Nat, features performances of some of Nat&apos;s greatest hits and Christmas classics. Performances are Tuesday through Friday at 7:30 p.m., Saturday at 2 and 8 p.m., and Sunday at 2 and 7 p.m. Written by Tony-award winning writer Lisa Kron, the autobiographical one-woman show 2.5 Minute Ride tells the story of Lisa’s 74-year-old father and his love of roller coasters. Leah Walton stars as Lisa in this witty but honest look at life with an aging loved one. Performances are Thurdsay and Friday at 8 p.m., Saturday at 3 and 8 p.m., and Sunday at 3 p.m. Opening Weekend: The Beanstalk makes its world premier this weekend at Montgomery County. The comic farce focuses on a magical kingdom in trouble, and the misadventures of Jack, Jill, the Miller and his daughter. Performances are Firday at 7 p.m, Saturday at 6:30 p.m., and Sunday at 4 p.m. Saturday&apos;s relaxed performance is a sensory-friendly show. East Greenville&apos;s Grand Theater revives the tradition of silent films with a Sunday matinee of The Phantom of the Opera (1925). The film will be shown in its entirety, with musical accompaniment from the theater&apos;s historic organ. Montgomery County Community College&apos;s Lively Arts Film Series continues on Thursday night with a showing of Oil & Water. The film is a coming-of-age drama about two boys with very different stories, each working to create a new future for the oil industry.